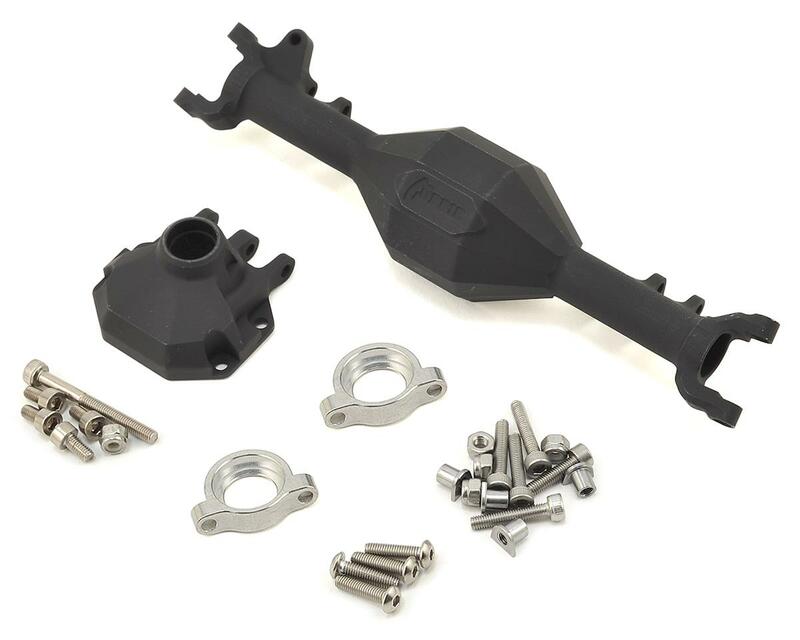 The Vanquish Currie F9 SCX10 II Front Axle Assembly is officially licensed from Currie Enterprises and includes a variety of features that will improve performance and durability. The diamond shaped pumpkin houses your AR44 style gears and features VP's awesome one piece bearing retainers. Integrated c-hubs with chromoly steel, threaded c-hub inserts are replaceable. Plus an integrated pan hard mount, double sheer shock mounts and built in upper link mounts that improve clearance and create increased up travel make these housings a must have upgrade for your SXC10 II. 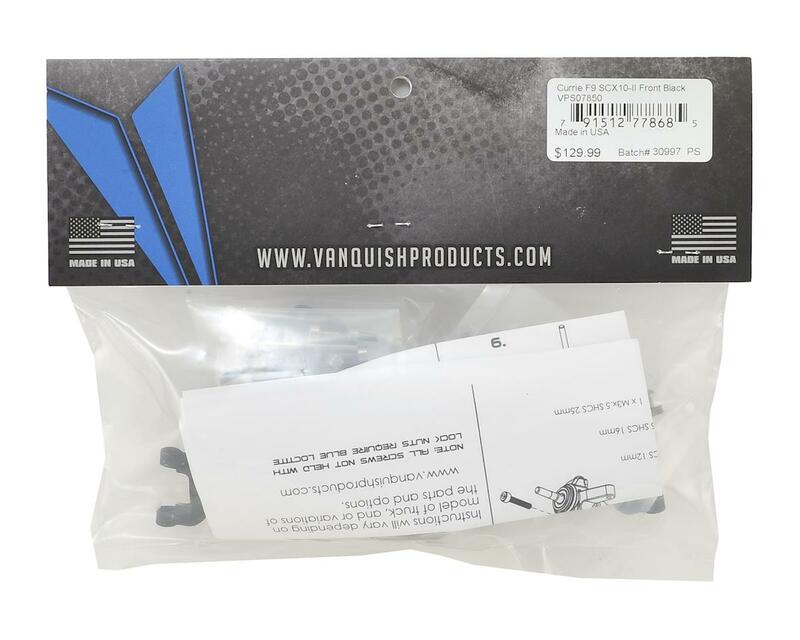 NOTE: These are compatible with the SCX10, but must be combined with AR44 compatible gears, driveshafts and hardware as well as the Vanquish Currie F9 SCX10 II Servo Mount (VPS07856, VPS07857). Package includes axle housing only. Axle shafts, hexes, ring gear, pinion gear, locker and bearings are not included.